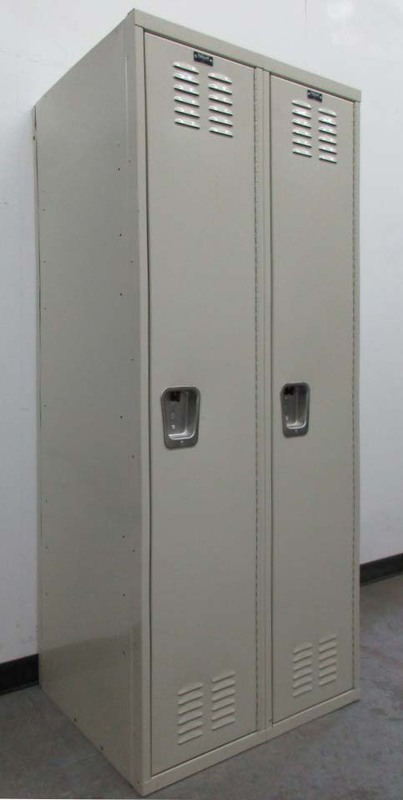 These Used Wall Lockers For Sale are available on www.buyusedlockers.com where they have a huge selection to choose from if we need additional supplies. We have used wall lockers for sale at a bargain price! These are second-hand lockers that are in great condition. Each 9" wide x 18" deep x 72" high single locker provides personal storage in a small amount of floor space. Lockers have been fully inspected and are 100% functional. Each is equipped with an upper shelf with coat hooks underneath to store books, backpacks, jackets and other personal items. Doors can be locked using a standard padlock, or built-in key or combination locks can be added if you choose.The neutral tan color would be a great accent in any school, gym or locker room!